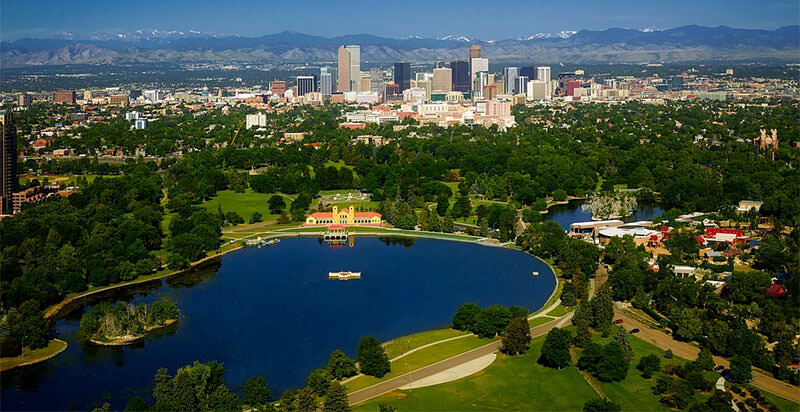 In addition to the scores of things to take in during the day when visiting Denver, the city additionally boasts an incredible nightlife, with hundreds of trendy bars, cocktail lounges and neighborhoods pubs serving up the best in cold beer, wine and tasty libations. In the following article we will highlight a few of these great drinking establishments, and provide an in-depth description of each locale: the atmosphere, characteristics, typical crowd and location of each bar, among other pertinent facts. Located at 3350 Brighton Boulevard, in the downtown section of Denver, the Acorn is a wonderfully popular bar, boasting one of the best panoramic views of the Colorado Rocky Mountain range and all of its glory. This sister restaurant of the very popular Boulders Oak bar, located just outside of Denver, the Acorn offers one of the most innovative and scrumptious cocktail menus in the city—a menu that uses a variety of different fine spirits, fresh juices and an interesting blend of herbs and spices. The Acorn also doubles as a fine restaurant, a reputation that the Head Chef Steven Redzukauski takes very serious. Here the food can only be dubbed as extraordinary, and most of the menu offerings are cooked via its oak wood-fired oven that sits in the middle of the dining area, making for a very unique and interesting dining experience. All of the entrees and appetizers at the Acorn are designed carefully around the drink menu (and vice-versa); with Redzukauski and Head Bartender Bryan Dayter working closely together to ensure every experience here is a special one. The Acorn, a comfortable and welcoming bar by any definition, offers a full selection of delicious craft beers, most of which are brewed locally in the Denver area. The wine list is extensive, and the signature cocktail menu includes all of the classic drinks, as well as some house invented specialties, such as the “Across the Mediterranean”, a delicious blend of Gin Bonal, Contratto Bianca, two different liqueurs and lavender bitters. The horseshoe-shaped bar at the Acorn, as well as the tables that surround it, are all marble-topped, and the décor includes wooden banquets and walls that are adorned with murals painted by local artists. The 35-seat outdoor mezzanine, where you’ll get your best view of the mountains in the distance, is fashioned out of old Coca Cola bottles, giving the bar a bit of a quirky, artsy feel. The several pool tables at the Roo Bar are surrounded by 50s-style diner booths along the walls, and the long, straight bar has room for about 30 thirsty patrons. Their signature cocktail list includes an impressive selection of martinis, and the roughly 20 beers on tap, which are rotated regularly, are always ice cold. In addition to great beer and liquors, the Roo Bar satisfies its guests with a terrific menu of snack-style food, including burgers, dogs, sandwiches, pizza and more. The bartenders and servers are very friendly, and the atmosphere, much like your typical pool hall, is laidback and amiable. One of Denver’s many rooftop bars, the Fire Terrace at the Art Hotel offers some of the best views of the city’s skyline and is a great place to spend a summertime evening with friends. Although its many offerings of beer, wine and signature cocktails are among the priciest on our list, the service at the Fire Terrace is exemplary, making it well worth the extra cost. Guests of the aptly-named Fire Terrace Bar can perch upon one of the many semi-private lounge areas the bar boasts, each with its own glowing fire to keep them warm and comfy. The hotel also boasts a well-maintained collection of amazing art, and guided tours are available for guests of the hotel who wish to learn more about the art’s origins. Situated at 776 Lincoln Street in downtown Denver, the Funky Buddha Lounge is a bar that truly lives up to its unusual name. A former dive bar named Romansito’s, the Funky Buddha Lounge now attracts the city’s upscale hipster and baby boomer crowd. The lounge has a cool design and a minimalist, no-frills décor, and its delectable menu of original cocktails simply cannot be matched in the downtown area. According to locals in the know, the Funky Buddha Lounge offers one of the best Happy Hours in the city, with half-priced well drinks and draught beer specials from 5:00 to 7:00 PM every Monday through Friday. This makes it a very popular place to take a date for a pre-dinner drink. DJs entertain the lounge’s late night crowd with music that spans many different genres, particularly indie and alternative music, as well as some well-known hits from the 1980s. Located just yards away from the well-attended University of Denver, the Pioneer is a true college bar that regularly attracts scores of students after a long day/week of studying. The drinks at the Pioneer, which include a range of tap and bottled beers (foreign, domestic and craft beer) and house-inspired cocktails are reasonably priced, particularly the several flavors of Margaritas they offer, which sell for a mere $4 apiece. These margaritas pair awesome with the bar’s Mexican-themed menu of eats. A comprehensive juke box, pool tables, games, and several high-def televisions provide the entertainment at this laidback and unpretentious establishment, and the bartenders and servers, many of whom also attend the local university, are friendly and competent.